School’s Out Due To Oil Disaster ! Due to the unfortunate oil disaster in the Gulf, Blue Mountain Surf will not be scheduling a “Surf’s Cool” program until further notice. With petroleum fumes in the air and undisclosed chemicals in the water, I just can’t justify taking health risks with other people’s children. That said, I personally continue to surf as often as possible, savoring every last wave. I will be glad to provide Individual lessons for adults and even private lessons for families but on a day by day basis as the conditions allow. 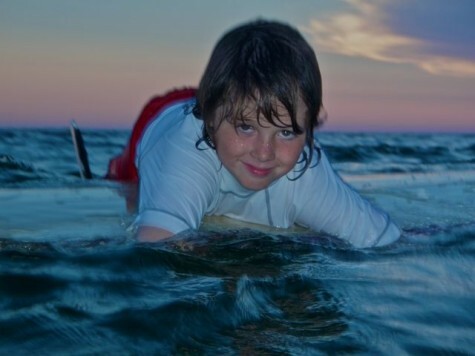 We have had plenty of days where I allow my own 8 year old son in the water, and a few where I would not. If it looks and smells nice out… let’s surf! This entry was posted in Announcements on May 24, 2010 by Mike Sturdivant. Â S.O.B. ironically wants to save the beach for the few who can buy their way onto it. Â This is a convoluted case even beyond the misleading catch phrase names for the organizations petitioning. Â While the DEP is advocating Dredge and Fill beach “Nourishment” (not a preferred beach management solution) their essential position that the beaches are public is important enough to stand with them on this one. Â You may have noticed the abundance of bullying signs going up along the Emerald Coast, threatening prosecution for simply stepping foot on our beaches. Â (Check out the statute cited sometime and usually you will find that it does not exist, or if it does, has little or no bearing on beach access) Well, this case could help re-assert the publics right to traverse and enjoy the beach. This is our interest in the case. The actual legal matter is regarding whether the florida court effected a “judical taking” with it’s earlier decision. We’ll keep you posted. This entry was posted in Announcements on December 1, 2009 by Mike Sturdivant. Surf School @ Back to Nature Festival! Blue Mountain Surf will be contributing to the Back To Nature Festival this weekend at Seaside. We’ll be running a brief version of our school to give a taste of surfing to local children. For registration and to find out more about the weekend of great family activities go to theÂ “B2N” website! We had a great time and witnessed more kids enjoying their first wave. Â Nothing better than that first wave smile! Have a look for yourself, link to pictures from the Surf School coming soon! This entry was posted in Announcements on October 15, 2009 by Mike Sturdivant. 13th Annual Surf Spooktacular & Monster Paddle ! The 13th Annual Surf Spooktacular! This years event will be held in conjunction with the “Monster Paddle” poker run. 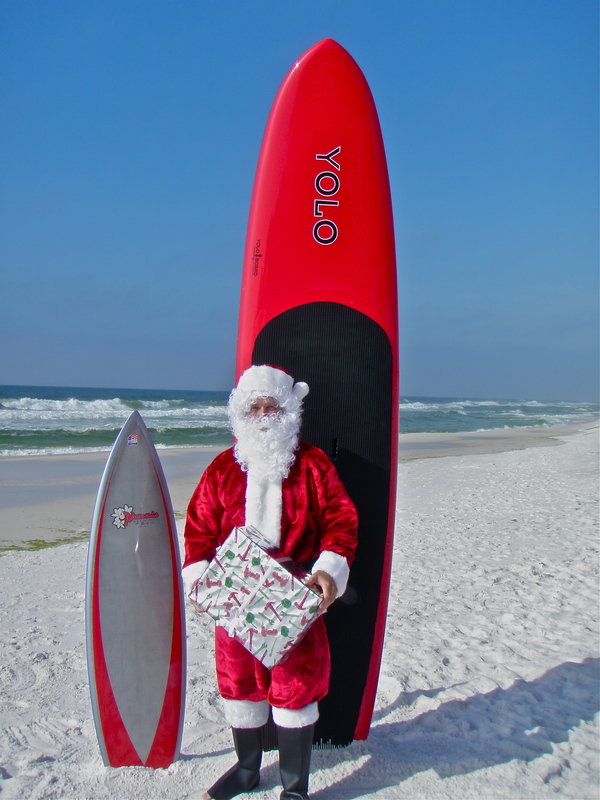 Â Join us on Halloween for an unforgettable paddle on Destin Harbor- October 31st from 11am to 4pm! The SurfÂ Spooktacular is a Halloween costume contest on the water! Â Dress up and paddle with us on Halloween and we’ll take your picture for the contest. Â That’s all there is to it! Â … or, put on a costume and hit the water anytime before October 31st, take your own picture Â or brief video and send the pic or a youtube link to: info@BlueMountainSurf.com . Can’t decide what to wear? Â Enter as many times as you like! Â We’ll have prizes for the scariest, funniest, best kid and best action shot. Â Get tubed in a ballerina tutu and win a prize! Â You can surf, SUP, kayak, sail, swim, waterski or scuba dive…if it’s in the water and in costume, it’s all good! This entry was posted in Announcements on October 6, 2009 by Mike Sturdivant.